New Hall Mill - "Auntie Wainwrights"
until you visited Auntie Wainwright! A wide selection of items that is ever changing as they are donated by the Friends or visitors to the Mill. Here you can expect to find anything from an abacus to zips, with many other things in between. 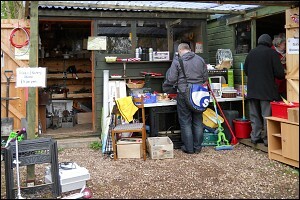 We have a varied selection of second-hand tools for the workshop and the garden, also a wide range of pottery, table ware, glass ware and household and electrical items. We are always willing to accept items that can be recycled to contribute to the running of the Mill. If they are electrical items, please ensure that they are working as we are unable to repair faulty items. 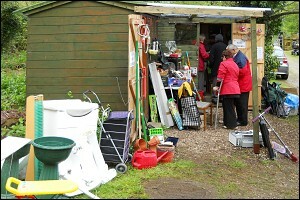 However, there are some items that we are unable to accept but we will have a go at selling virtually anything.